Every word counts when you’re playing the world’s most popular word game. It’s a richly rewarding, yet simple game. Ideal for the excitement of a head to head challenge or to relax with family and friends. 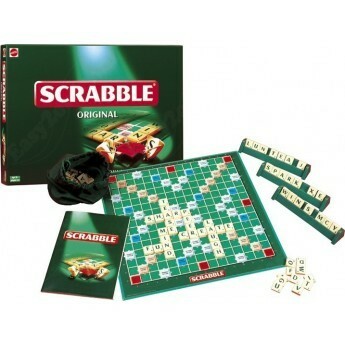 Scrabble is fascinating, mind sharpening entertainment every time you play. Pick seven letters from the bag and see what words you can make by crossing words already on the board. Try to make the most of the premium squares on the board and add up the scores on the letters. At the end of the game, the highest score wins.